The Jeanne Clery Disclosure of Campus Security Policy and Campus Crime Statistics Act, also known as the Clery Act, is a federal law that requires institutions of higher education to have in place certain security and safety policies, and to disclose certain crime statistics.These policies and statistics are published every year on October 1 in UW-Madison’s Annual Security and Fire Safety report. The Clery Act also identifies certain staff, faculty and students as “Campus Security Authorities” and requires that they forward reports of crimes to designated offices on campus. The Clery Act was amended in 2013 to expand the list of crimes tracked and to broaden the rights and resources that victims of sexual assault, domestic violence, sexual assault and stalking are entitled to. The Clery Act also requires institutions with campus police or security departments to maintain a daily crime log in an effort to provide a more “real-time” snapshot of crime on campus. 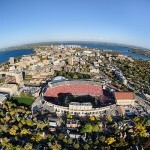 View the UW-Madison Clery Crime Log. 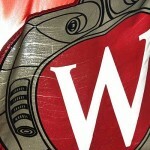 On this website, you will find information about UW-Madison’s Clery program, including resources for and about our Campus Security Authorities, selected Clery policies, and reporting, rights and resource information for victims of sexual assault, domestic violence, dating violence and stalking. The Clery Act was named for Jeanne Clery, a 19-year-old student who was raped and murdered in her dorm room when she was a freshman at Lehigh University in 1986. 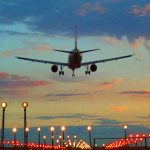 Are you a staff or faculty member traveling with students? Please see the Travel Resources section below. 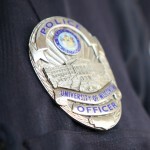 The Annual Security Report has crime data from the three previous calendar years, information about WiscAlerts and Crime Warnings, crime reporting and response, disciplinary policy and procedure, fire safety, and programming on campus to prevent crimes — especially sexual assault, domestic violence, dating violence, and stalking. The Annual Fire Safety Report has on-campus residential housing fire data from the three previous calendar years and important information about fire safety policies and procedures. In this section you will find information about Campus Security Authorities (CSAs): who they are, what they do, how they report and general training information. Please click on the following links to learn more about CSAs. Locations where students travel for more than one night for university-sponsored business or activities may be subject to Clery reporting requirements. If you are traveling with students and you or UW-Madison has written agreement to control space that the students will be using, please fill out the Travel Registry form. A written agreement can be anything from a formal contract, to a hotel reservation, to an email. If you need to report a Clery crime while travelling with students, please call UWPD at (608) 264-2677 and ask to speak to the Manager on Call. Clery crimes are crimes that CSAs are required to report under the Clery Act. Those crimes are also required to be disclosed in the Annual Security and Fire Safety Report, published every year on October 1. Read a full list of Clery Crime Definitions. 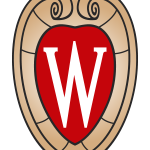 Crime Warnings and WiscAlerts (known in the Clery Act as timely warnings and emergency notifications, respectively) are mandated by the Clery Act and the policies are published in UW-Madison’s Annual Security and Fire Safety Report. 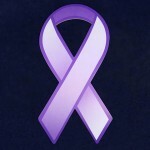 In this section you will find links to victim rights and resources, information on how to report an incident of sexual assault, domestic violence, dating violence or stalking and a list of confidential resources that can help if you or a friend are a victim of sexual assault, domestic violence, dating violence or stalking.